FHA financing is probably the most widely used financing program available. It has many dimensions and allows for purchase, refinance and cash out refinance. It’s typically a 30 year fixed, but could be an adjustable rate mortgage as well. FHA financing is for primary residence, owner occupied properties, however it is available for mixed use and multi-family dwellings as well. FHA requires a 3.5% down payment which can be gifted with property documentation. Due to the low down payment and higher loan to value, mortgage insurance is required with FHA financing and currently is 1.15%. The program also allows up to a 6% seller contribution which means all closing costs could be covered by the seller of the property. There is a minimum credit score requirement of 620 and there are loan limits predetermined based on location. Flips are allowed, but probably will require a second appraisal. 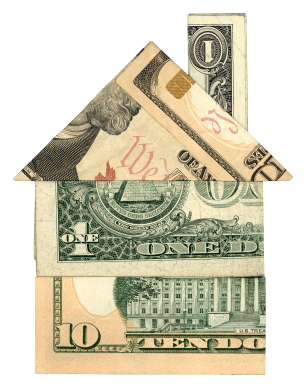 The seller should always keep copies of receipts, invoices, and a list or repairs to help support the change in value. Also, something that’s not widely known about FHA is that under certain circumstances, short sale sellers who remain current on payments may be able to purchase a home right after the closing of their short sale. There are certain guidelines that must be met, but this can be a great opportunity for people who are relocating or who have a change in circumstances. Another key area of FHA financing is the 203k loan program which is available in two forms: a streamline and a standard 203k program. There are different repairs allowed for each type of loan and there are guidelines for each that must be met. This type of loan is incredibly involved and requires a lot of work for the borrower but can be an amazing opportunity to purchase a home and build equity.